You've heard about cases of Asperger's, or perhaps have known a child with the syndrome. 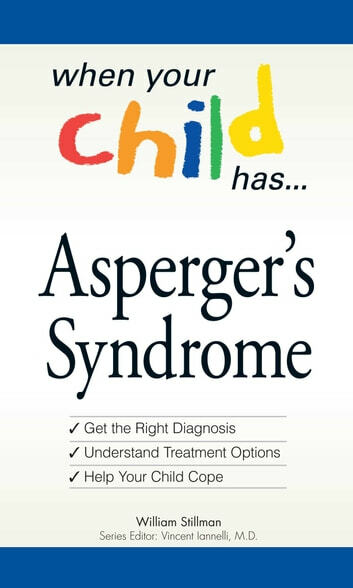 Now you've learned that your child has Asperger's-what do you do? When Your Child Has . 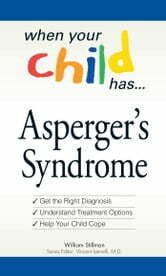 . . Asperger's Syndrome defines the syndrome in clear and complete terms that will help you help your child. Now, you can understand your child's needs and help him or her lead a happy and successful life. William Stillman is the author of Demystifying the Autistic Experience. He is on several autism/Asperger's advisory boards; has been appointed to Pennsylvania's Autism Task Force; and offers much more information at WilliamStillman.com. He lives in Hershey, PA.
Vincent Iannelli, M.D., is the author of The Everything Father's First Year Book. A board-certified pediatrician and fellow of the American Academy of Pediatrics, he is also an associate professor of pediatrics at UT Southwestern Medical Center. He has nine years of clinical experience and now runs a private practice. Dr. Iannelli lives in Hearth, TX.